Hullo, all. We’re moving too fast, people. I wish I knew a way to slow it all down. One way, is to visit each site — wild, huh? Or, choose one you don’t usually go to, with the firm determination of writing a poem to its prompt. If you usually avoid, say, images, then make sure you try an image prompt. If you have not written a limerick… well? What are you waiting for? Did you know you can write a story poem through limericks? Check out Madeleine’s composition down in comments here. At Naming Constellations Joseph Harker reviews Lesley Wheeler’s The Receptionist and Other Tales. No, not a prompt, but a good idea. Even if we don’t get around to reading chapbooks, we can learn a lot from a good review, and you know our Joseph. He says, in part, with tongue firmly planted in cheek: there is an equal mix of everywoman sensibility, nuanced university politics, and a rich literary allusiveness. Sounds intriguing, no? So head on over to read the full review. At The Music In It: Adele Kenny’s Poetry Blog, she suggests we try writing transformation poems, that is, poems in which something becomes something else. Her suggestions were eye-opening. I hadn’t thought of transformation in such a wide sense. Plenty of scope for poems. Visit to discover for yourself. At The Sunday Whirl, Brenda says My daughter and I constructed this list. If you haven’t wordled yet, what are you waiting for? Brenda will have the new words up on Sunday. Visit to see the wordle and to read what others have done. Over at Carry On Tuesday, Keith has given us the opening line from the 1949 movie Adam’s Rib. As a challenge, the phrase is in French. His extra is a trailer from the movie. Go on over. We’re at Mad Kane’s Humor Blog for Limerick-off Mondays. Madeleine always writes a limerick, as an example. Look around while you are there. I visit because I know I will laugh and laughing is good, so visit to read, to laugh, perhaps to write. Visit The Mag [Magpie Tales] for our first image prompt. This week we have an image by Last Exit which leaves it all to our imagination, if we ignore the title, Ponytail. Remember that you do not have to address the whole image, or its subject. What was the first thought that went through your mind when you saw the image? Grab it. Write. Alan1704, at Poetry Jam, talks about goodbyes, the good and the bad. Go on over and see what he says. This week on Carol’s Light Words I have given you the general URL, as I see several images that might spark a poem. Don’t forget that Carol chooses a song each Friday to get us dancing around — remember that she is on California time. A different kind of poetry and a whole lot of fun. It seems I was just wondering what Hannah would be giving us next and here she is with the answer. At imaginary garden with real toads, Hannah promises us 22 weeks of magical, natural wonders. Visit. Investigate. Go play with the toads. We Write Poems is asking us to focus on a protagonist for a few weeks. This week, your protagonist is going somewhere… odd. The post is titled Wizard of Oz Revisited. Head over to read the context and suggestions. At dVerse, Victoria takes us through synesthesia. The main thrust of my summer prompts are sensory exercises, so give this one a go. Visit. Look around. Stay awhile; it’s a friendly place. Lemonade coming up. I shall see you Tuesday, for the summer calendar and first summer prompt; and Friday for the round-up of prompts. Poetry Freeforall: Visit. Write. Post. Hullo, all. Summer is a-comin’, although our temperature has taken a nose-dive, today. Atlanta is like that. Let’s go for a prompt walk. We start with Donna. It occurs to me that most of you are looking for prompts that you can write, then post. Giving you prompts from last year doesn’t hack it. I’m not a superstitious person, but Donna has started my Friday postings from day 1. For now, I am going to leave the old tow truck image as my start. I can’t quite bear not to start with Donna. At The Refinery Joseph takes on a poem by Guy Traiber. I am amazed every time he presents us with his refining of a poem, how much I learn. Don’t forget to keep sending your poems in to Joseph, so he has a stockpile. Joseph also gives us a prompt where he asks us to, Write a poem that combines your everyday life with those images. What images? Head over to find out. You’ll like the prompt. At The Music In It: Adele Kenny’s Poetry Blog, I had to laugh. She asks us for a portrait poem. Just a few days ago, I finished putting together my summer menu for your Tuesday prompts. One of the weeks asks for a portrait poem. Now I’ll just link to Adele! [No, you may not link to your poem, if you write one. I want new, new, new.] Head over for her tips, her suggestions, and her example poems. At The Sunday Whirl, the words come from a poem by Margaret Atwood: ‘Helen of Troy Does Countertop Dancing’. If you haven’t wordled yet, what are you waiting for? Brenda will have the new words up on Sunday. Visit to see the wordle and to read what others have done. Over at Carry On Tuesday, Keith has given us a song title from Cy Coleman and Carolyn Leigh. You might want to wait until you have written your poem before listening to, or reading the lyrics of, the song. Keith has given us a Frank Sinatra recording for our listening pleasure. Go on over. We’re at Mad Kane’s Humor Blog for Limerick-off Mondays. Madeleine always writes a limerick, as an example. Look around while you are there. After a year and a half of posting this link, I still smile as soon as I come to it on my list. I visit because I know I will laugh and laughing is good, so visit to read, to laugh, perhaps to write. Visit The Mag [Magpie Tales] for our first image prompt. This week we have a painting by Jamie Wyeth. Remember that you do not have to address the whole image, or its subject. Find some small detail that sparks you and write about that. You can even riff off the title. Peggy, at Poetry Jam, wants to know about shoes. What about them, you ask. Go on over and find out. This week on Carol’s Light Words she gives us a lovely photograph to spark a poem. Don’t forget that Carol chooses a song each Friday to get us dancing around — remember that she is on California time. A different kind of poetry and a whole lot of fun. At imaginary garden with real toads, it is Fireblossom Friday and a prompt to do with setting, something many of you are partial to. Head over to look at the wonderful photographs you might use as inspiration. Visit. Investigate. Go play with the toads. We Write Poems is asking us to focus on a protagonist for a few weeks. This week, your protagonist is Playing Sherlock. Head over to read the context and suggestions. At dVerse, Samuel Peralta gives us a complex but fun form, the glosa. Samuel is particularly good at taking people through a form, so give it a try. Visit. Look around. Stay awhile; it’s a friendly place. I shall see you Tuesday, for an image prompt; Thursday for links and such; and Friday for the round-up of prompts. Hullo, all. First, a reminder that I keep a tab at the top of my site with even more poetry prompt sites. These are sites that already have a ton of visitors, or are new and we’re trying them out. For example, this week we have a new image site and I know how much you like image prompts! Alastair’s Blog is one you can check every day, or keep handy for those days when nothing works and you need random inspiration. Alastair is mad for photography and posts an image a day. You will need, sometimes, to scroll through some inspirational quotes, as Alastair likes to collect them. Sometimes you might visit for that! We start with Donna’s Put Words Together. Make Meaning and a dip into the Tow Truck archives, February last year. The exercise was fun then and still sounds fun plus, should we need one, it gives us an excuse to watch television. We are asked to, Look into the background and write down what you see there, as many details as you can. To find out the background of what, and what to do with your list of details, head to the Tow Truck. At The Music In It: Adele Kenny’s Poetry Blog, Adele’s posts offer so much that she should be a must stop. Visit. This week her central focus is forgiveness. Head over for her tips, her suggestions, and her example poems. Like I said, Adele offers much. At The Sunday Whirl, the words come from a poem Brenda wrote during NaPoMo. I’m trying to figure out how I missed them. If you haven’t wordled yet, what are you waiting for? Brenda will have the new words up on Sunday. Visit to see the wordle and to read what others have done. Over at Carry On Tuesday, Keith has given us part of the title of a Neruda poem. I was so intrigued by the whole title, I stopped to read the poem. 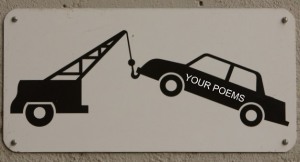 You might want to wait until you have written your poem. I’m betting on my brain forgetting. Go on over. We’re at Mad Kane’s Humor Blog for Limerick-off Mondays. Look around while you are there. After a year and a half of posting this link, I still smile as soon as I come to it on my list. I visit because I know I will laugh and laughing is good, so visit to read, to laugh, perhaps to write. Visit The Mag [Magpie Tales] for our first image prompt, a painting by Mary Cassatt. This particular painting is one where you can write a poem from the title, rather than the painting. Remember that you do not have to address the whole painting, or its subject. Find some small detail that sparks you and write about that. Laurie at Poetry Jam, wants us to get our buzz on To find out how, or with what, head to the Jam. This week on Carol’s Light Words we accompany her on a wander through the roses. She is showing us photographs; I feel like I am walking through a poem. Don’t forget that Carol chooses a song each Friday to get us dancing around — remember that she is on California time. A different kind of poetry and a whole lot of fun. At imaginary garden with real toads, I have given you the general address, as I can’t choose between the radio prompt, or Kerry’s Wednesday Challenge to write a Prelude. Visit. Investigate. Go play with the toads. We Write Poems is asking us to focus on a protagonist for a few weeks. This week, we are looking into red-letter days. Irene says, The idea is that the protagonist will somehow tie all your poems together so there’s a kind of storyline going on. Ack! Patricia K. Lichen, Author is closing down for a while. If you are curious as to why, I have given the link to her final message. I am hoping the site remains open. Patricia’s place has the feel of walking on a beach, or through a forest, so take some time off and visit. You can still find inspiration while exploring. At dVerse, Tony would like us to try the Terza Rima form or, even, the Terza Rima Sonnet. I love that Tony says Terza Rima is rhyming poetry written in tercets – that is three-line stanzas. So far, so straightforward, except that — you know that except is going to be a killer. Visit. Look around. Stay awhile; it’s a friendly place. I shall see you Tuesday, for a metaphor prompt –get your weeping and gnashing done, now; Thursday for links and such; and Friday for the round-up of prompts.